you combine a background in real estate and interiors with fitness coaching and gym design, how did that happen? On the fitness side, it was always a part of my personal life. I started training seriously 5-6 times per week when I was around 14 years old growing up in leafy south-west London. For many years my training consisted purely of middle distance running, swimming and free weights; no mobility work, no guidance from a coach and no real appreciation of movement per se. The inflection point came at 27 when I relocated to Cape Town in South Africa for my luxury brand consulting work and quickly added muay thai kickboxing, surfing and hatha yoga into my weekly routine; my mind was on fire with the new movement patterns but my body was in complete shock. My regime up to that point had been woefully limited, despite delivering a toned physique and 7% body fat. This was my ‘aha’ moment! At the very same time, my career saw me helping entrepreneurs launch new luxury hospitality, real estate and wellness brands, defining their concepts from scratch, or creating new sub-brands for them to extend into new market sectors. I was learning from and interacting with the people changing the culture around them; that exposure would prove invaluable as inspiration for Biofit. where did outdoor fitness and natural movement come in? In South Africa I was heavily into trail running and bodyweight workouts on the beach; gradually I became disillusioned with the gym experience. I then spent four years living in a tiny town on the Adriatic coast where I continued to train outdoors with minimal equipment in my free time whilst working alongside architects, interior designers, operations and customer service teams at the Porto Montenegro real estate development where I lead the Marketing team at that time (2010-2014). I was learning the tools of the trade, not just of building a high-end business and managing a team but of implementing an idea into a space, be it indoor or outdoor, with the help of designers, project managers, landscapers and architects. What market opportunity did you identify for Biofit? 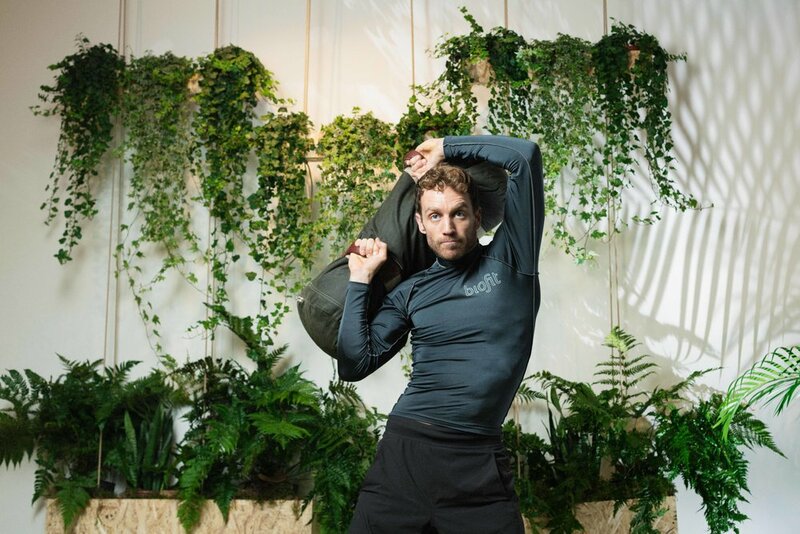 As a deep believer in the value of bodyweight training outside in nature, yet still a fan of urban existence I became interested in the idea of a fitness studio and gym concept that brought the outside in, offering a nature-inspired indoor environment in which to train for real world fitness using a bespoke range of hand-crafted equipment. That was the germ of the idea. I had a problem - gyms were soulless and had zero connection to nature in them. Outdoor workouts were a completely different experience and one with countless extra health benefits, they just felt so damn good! I knew how to create, design and implement physical concepts and spaces so I decided to scratch my own itch in the belief that enough other people out there must also feel the same way. What are the wellness benefits of a biophilic gym? Prescribing time in nature, or forest bathing, as a wellness cure is common currency in places like South Korea and Japan. Green prescriptions have been making waves in New Zealand for many years now and the UK has been pushing for something similar too via Natural England. In practical terms the key benefits of spending time in nature or in biophilic indoor spaces have been identified as a reduction in stress levels, improved focus and concentration and enhanced productivity. Our aim is to harness those same benefits to create a functional fitness studio environment that is actively benefitting our clients while they are busy training. Here is a useful study by Human Spaces on this very subject.